From Calvin Klein comes the Printed Trunks in Commotion Summer Blue colour, featuring a branded elasticated waistband and a contoured pouch in the front. These trunks sport an all-over print. Note: This item cannot be returned or exchanged for hygienic reasons. 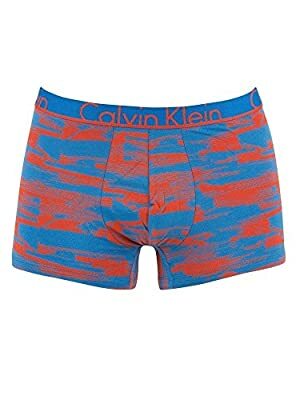 Calvin Klein Blue Printed Trunks. Brand New and Genuine. We are an authorised seller of Calvin Klein. See product description below for more information.